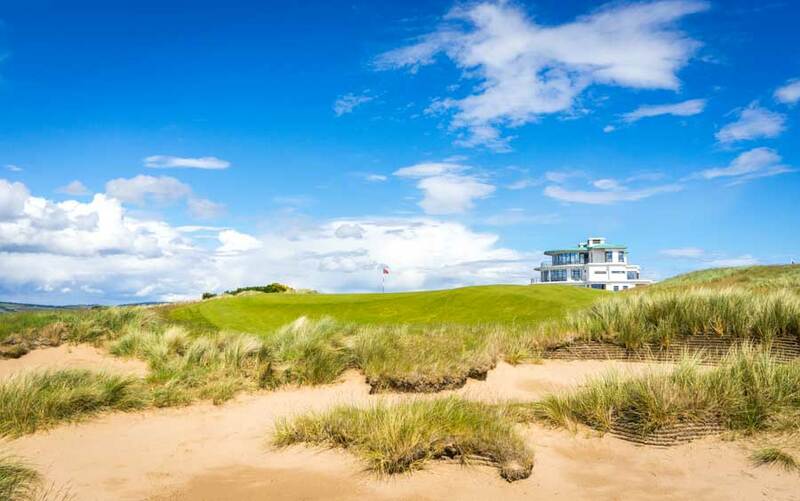 I really enjoy playing links golf even if it’s really tough like my last two rounds at Machrihanish Dunes and Dundonald, the this years host of the Scottish Open which was carefully maintained. 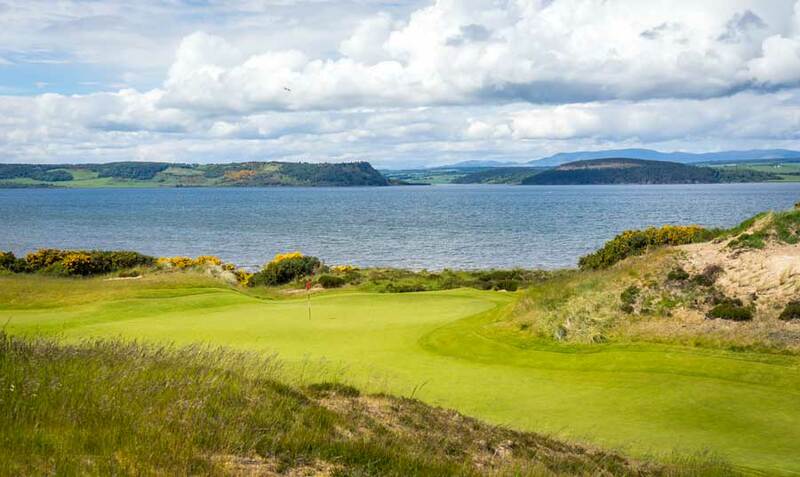 So therefore I was very curious about Castle Stuart Golf Links the last years host of the Scottish Open. Boom, into the car and once again straight through Scotland, towards Inverness. 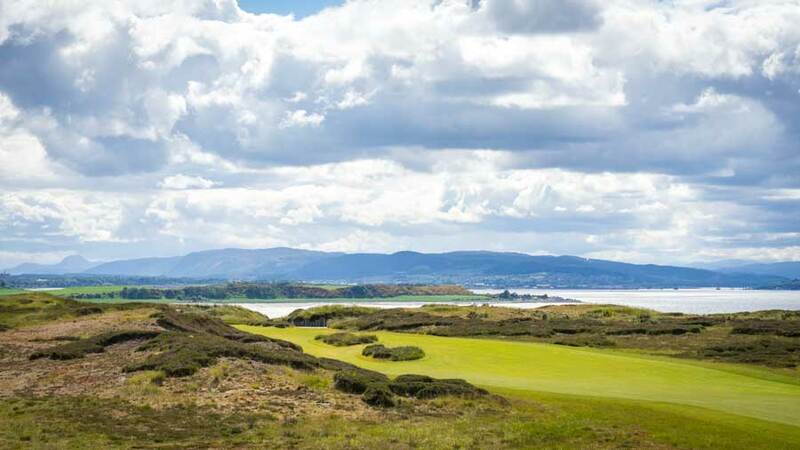 The championship links course, Castle Stuart Golf Links is settled near the amazing town of Inverness overlooking the landmarks of the Moray Firth. 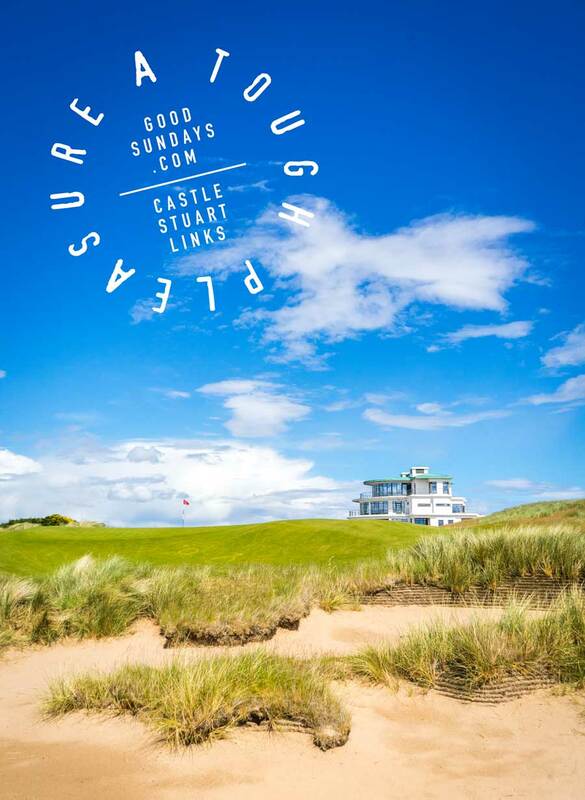 Castle Stuart Golf Links opened in 2009 and was designed by Mark Parsinen the same architect who has created Kingsbarns Golf Links, close to St. Andrews. 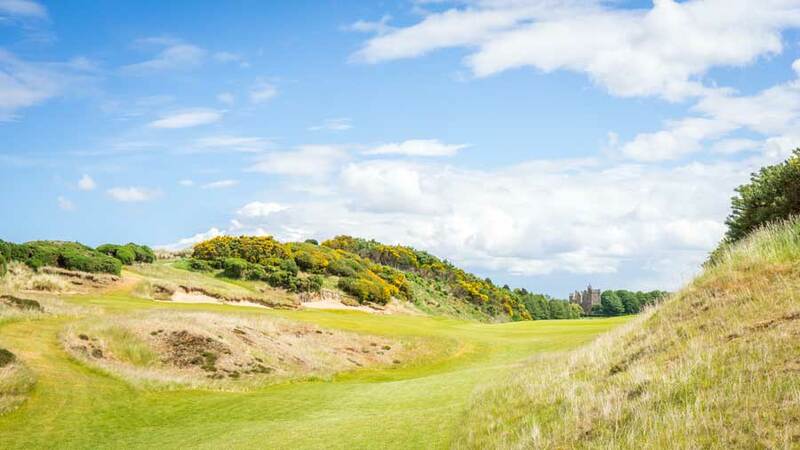 I know, I use the word very often but Castle Stuart is a true and real masterpiece and exciting to play. 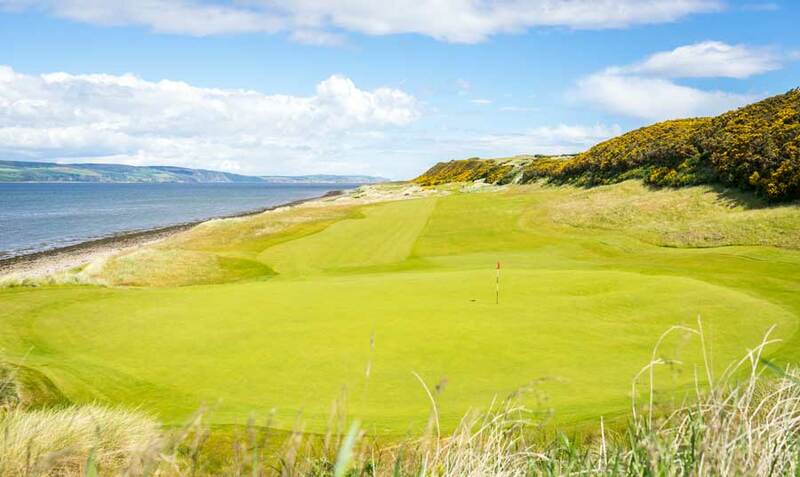 The first three holes of the front nine are along the coast of the Moray Firth and very picturesque but also more than tough to play when there is some strong breeze going on. 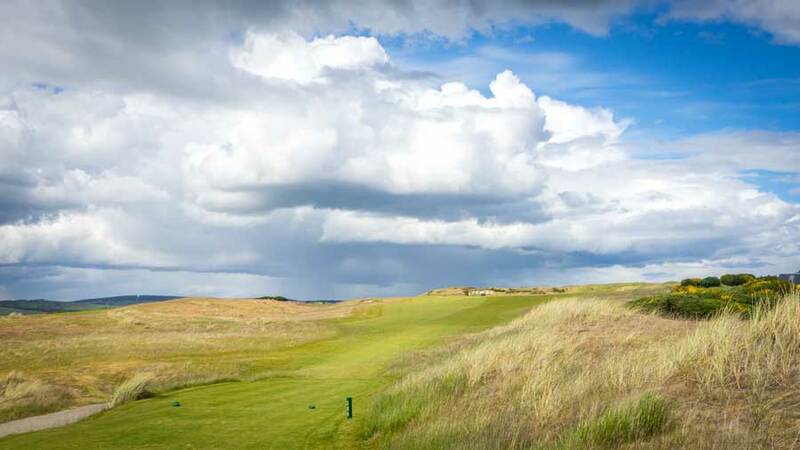 They taught me, „ If it blows that even the seagulls prefer to walk, it´s not the right weather for golf.“ With No. 4 a mid-length par 3 I already fell in love. 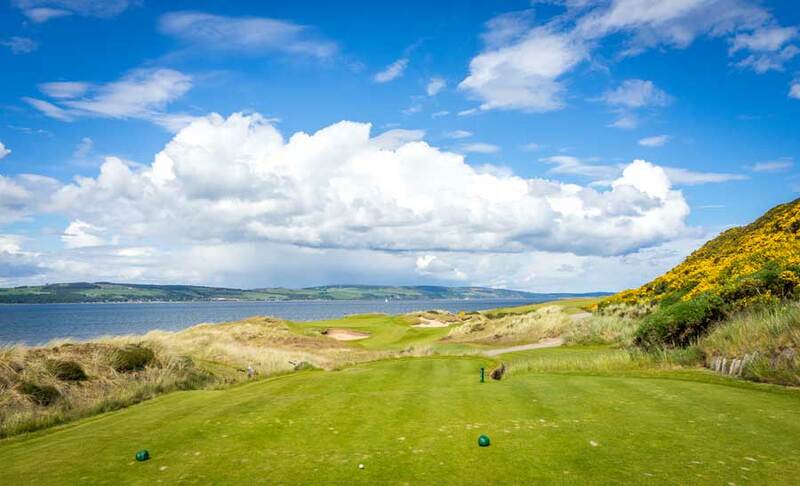 From the tee you have a beautiful view of some parts of Castle Stuart Golf Links. 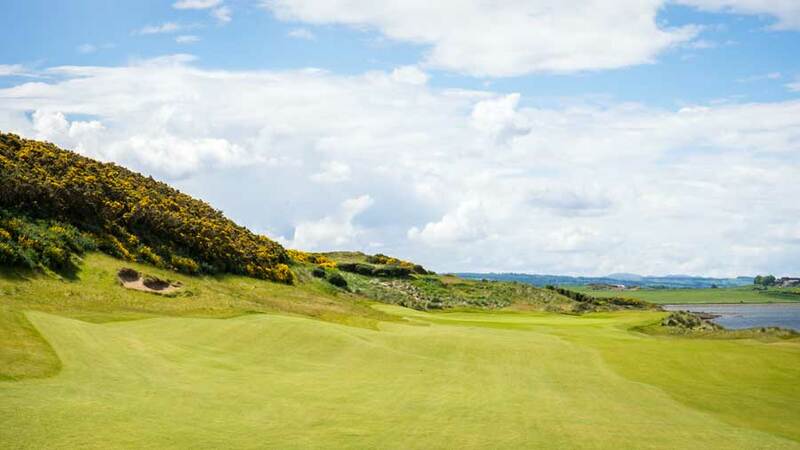 You will find different great description of how to play this hole and all the others in the elaborately designed birdie-book. 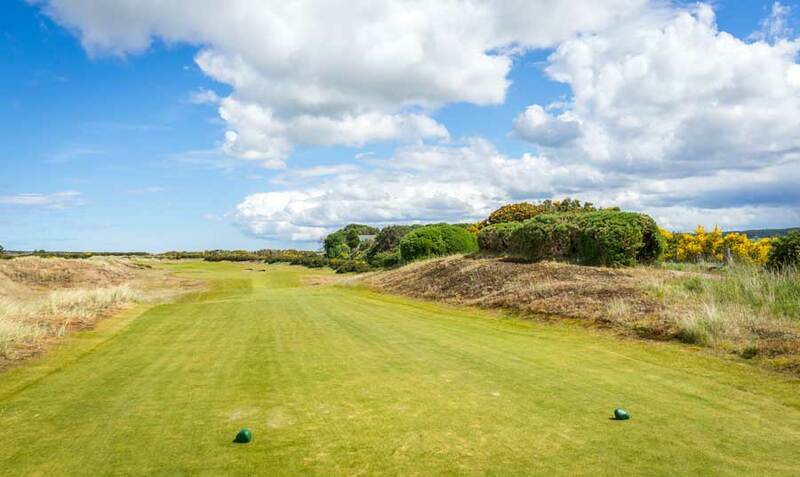 3) a releasing shot can find the 30 yard long and virtually invisible fairway plateau fronting the green. 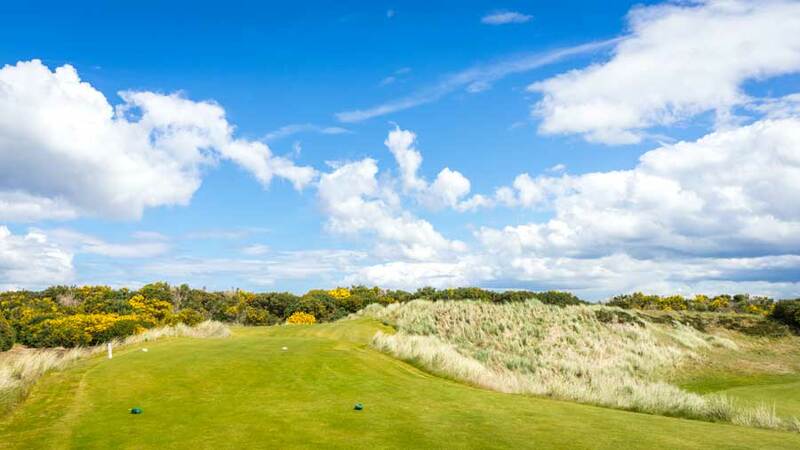 Let the wind conditions, pin placement, and preferred shot shape govern your thought process, but note that certain wind directions cause swirling, while others can make you feel like you’re in a wind tunnel. 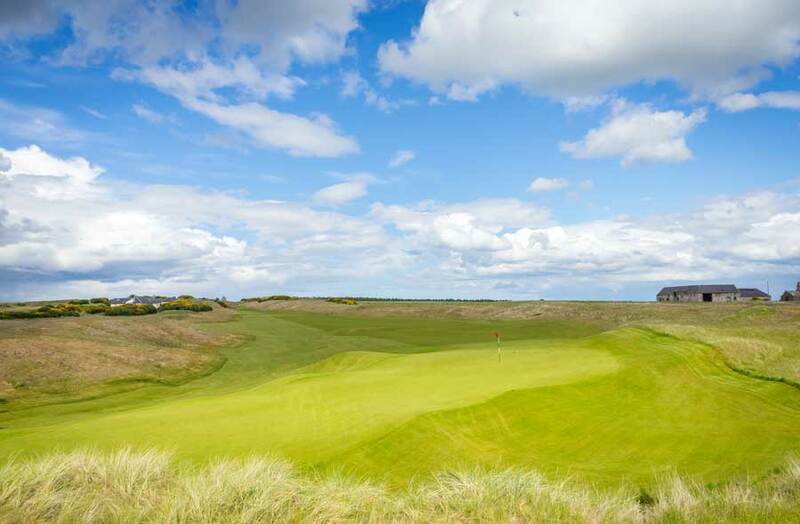 There is more room around the green than meets the eye at first glance, so don’t be afraid to make a confident strike. 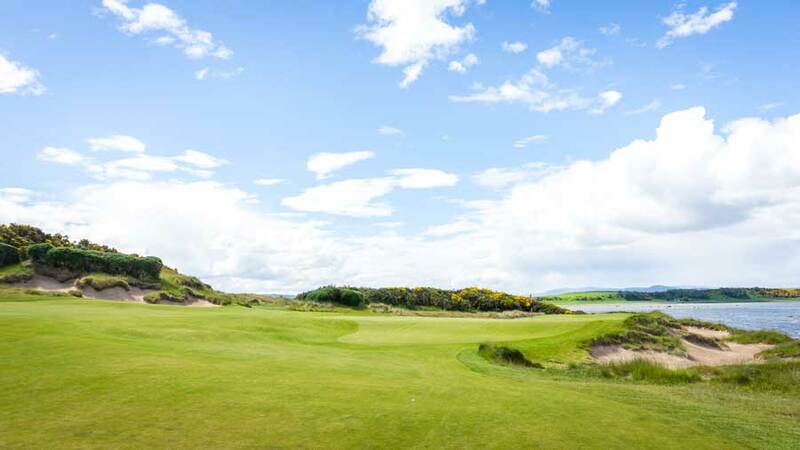 And with a single glance at this hole’s ‘framed composition’, you will know the origin of our logo, the ‘open spire’ that defies the architecture of Castle Stuart. 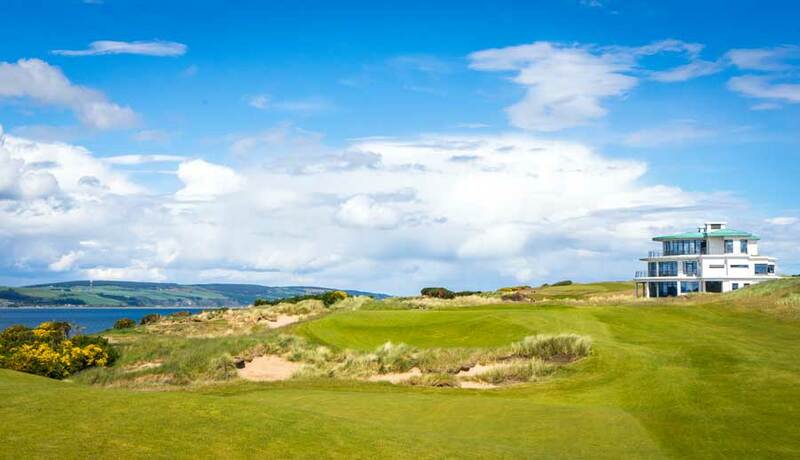 The next holes are meandering along the sand dunes of Castle Stuart Golf Links. 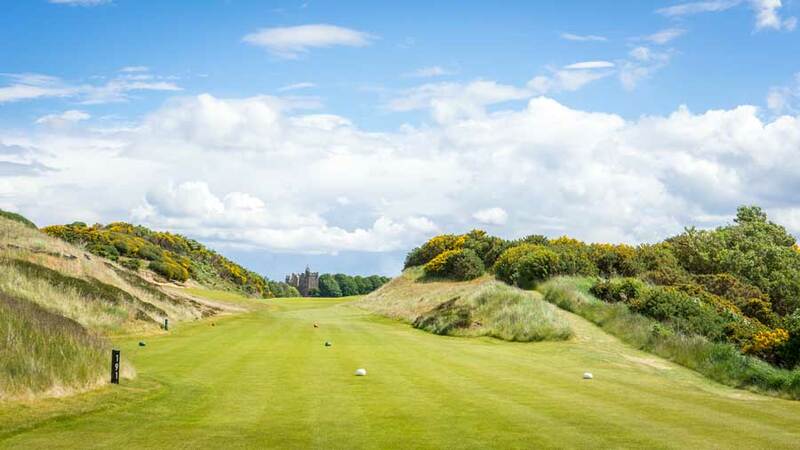 This eye-candy course requires again some golfing skills. I had a tough day out there and on some holes I really had a hard time. Another favorite hole of the front nine was No. 8. 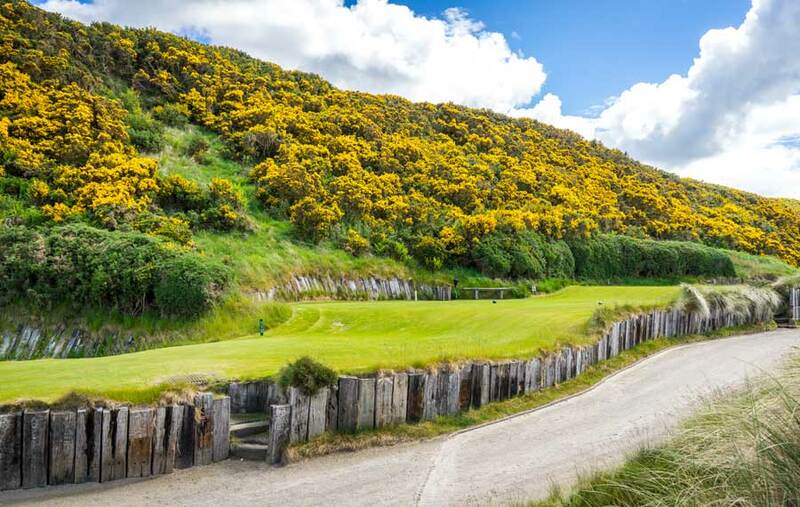 This par 3 is a nice mix of nature and golf hole, very difficult to play if you end up in one of the natural bunkers. If you are on the green you have to battle with the speed. The finishing hole of the front nine is again a beauty. 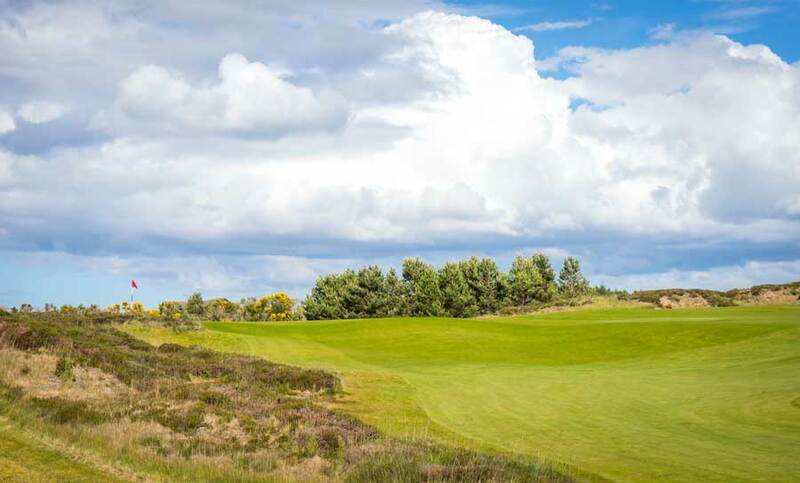 With a straight tee shot towards the club house you can create a really good chance for a birdie. Well, if you are a professional. 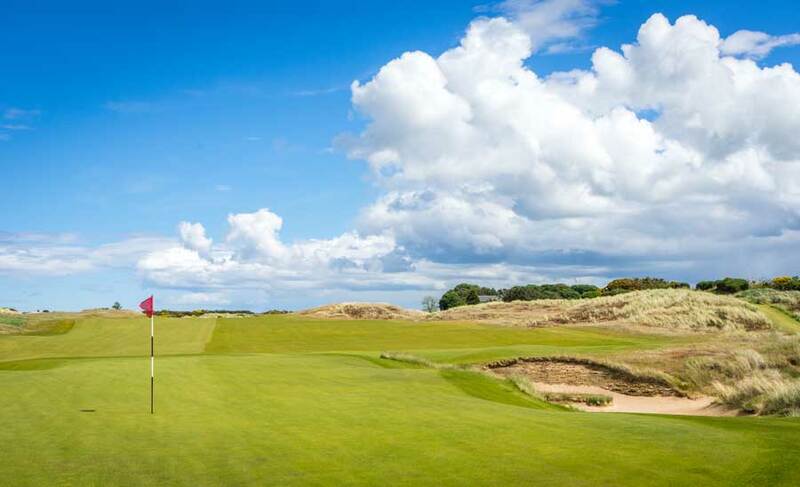 The second shot is just amazing, you have to handle a huge natural, open sandy area which is defending the green. I played a double bogey here. 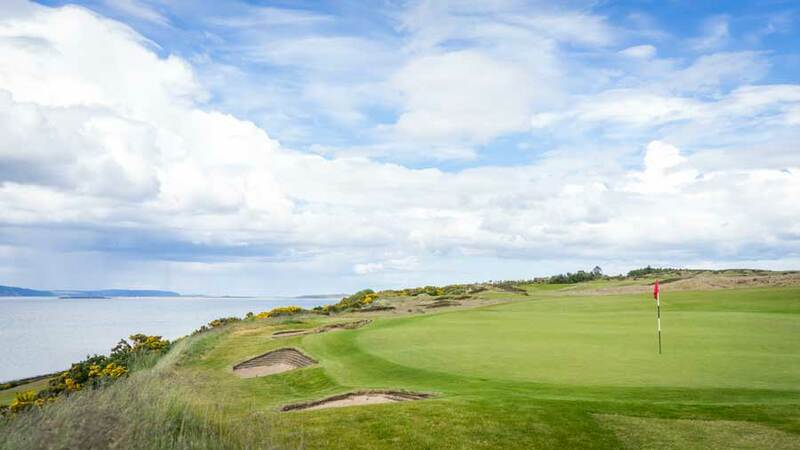 The first three holes of the back nine are again along the Moray Firth. This time with the wind and for this reason much more fun to play. No.13 is a very interesting hole. 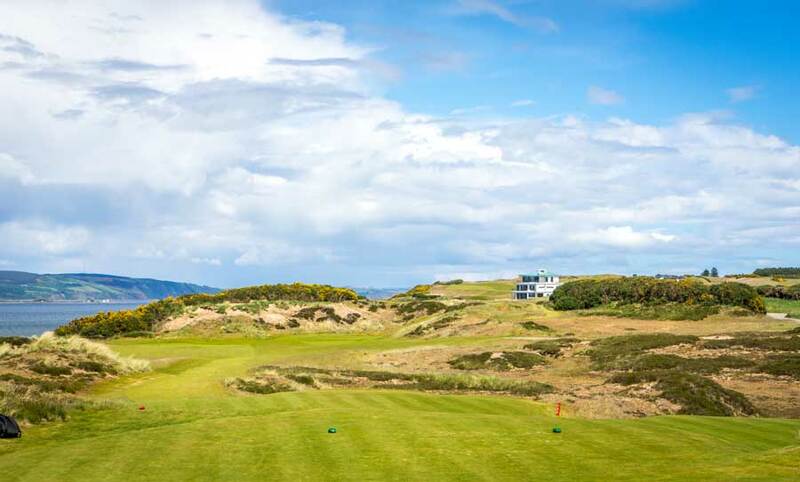 The tee boxes of this dogleg to the right are situated in a sand canyon. 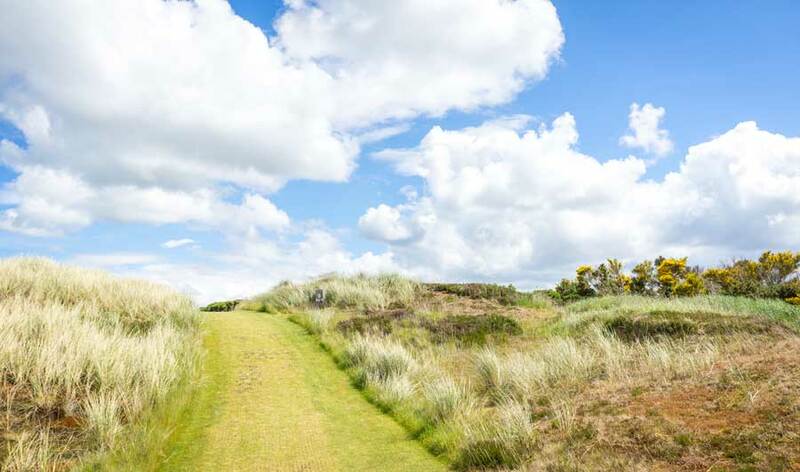 You have to hit some kind of a blind tee shot through this sand tunnel. Aim right, otherwise your second will get way to long. The next hole which really got my attention was the finishing par 5, No. 18. 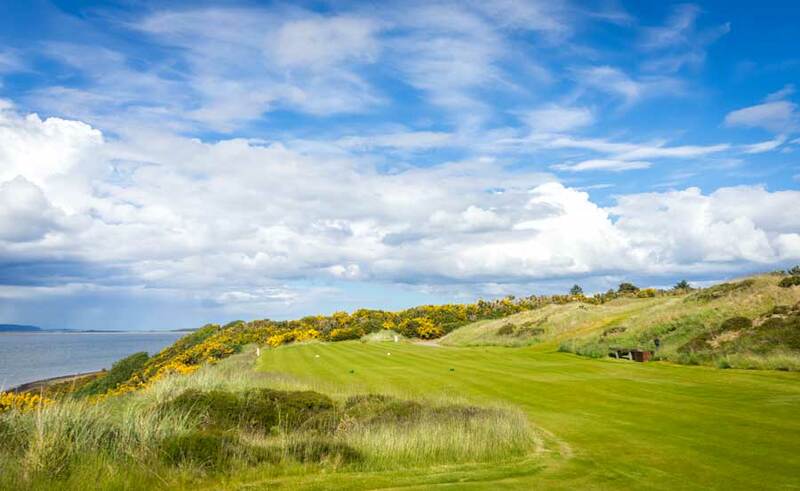 You tee off from the edge of a cliff, overlooking the Moray Firth in the middle of yellow gorse. The drive again straight into the wind but playable. The layup shot is tough. 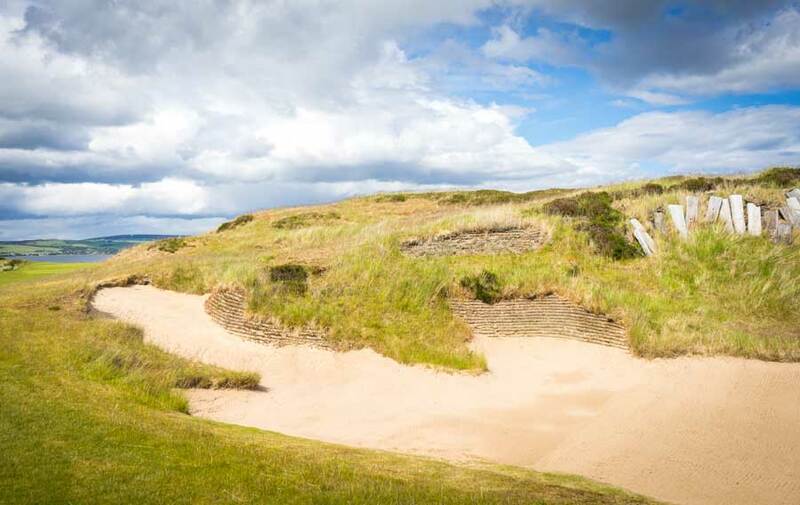 If you´re to much right you end up in this almost unplayable natural sand bunker or dunes area. To much left makes the hole way to long considering the wind. I needed four shots to reach the huge putting service and another three to walk from this amazing fast and undulated green. 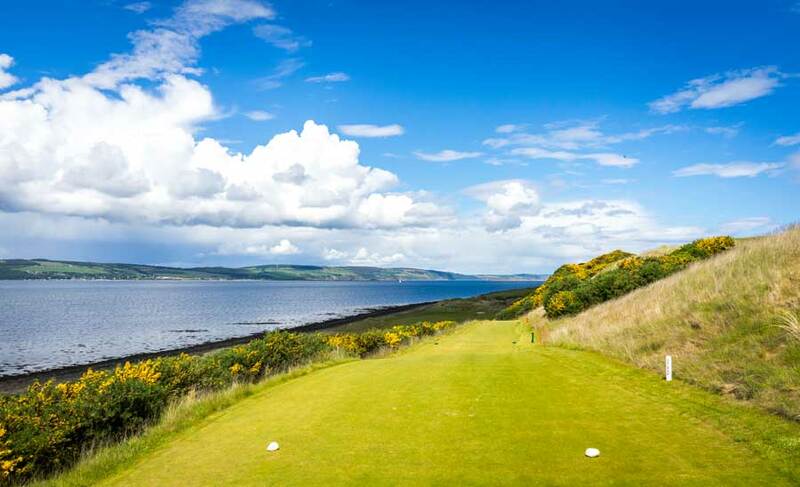 In general Castle Stuart Golf Links is a must play. 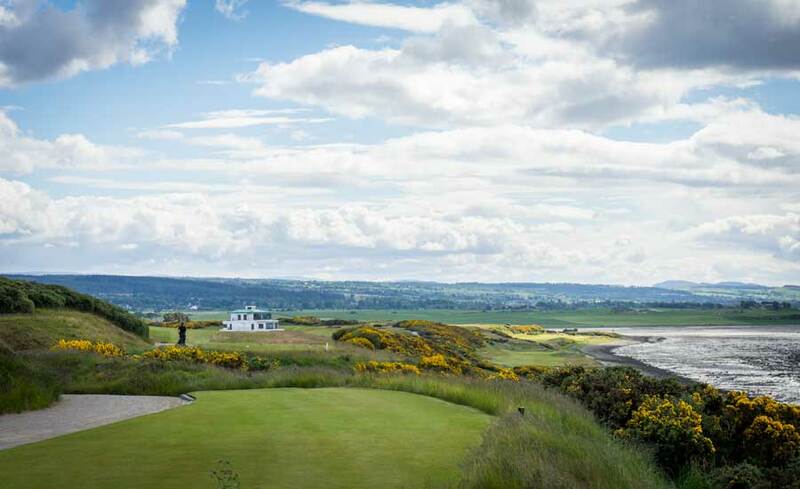 Every hole is like a beautiful painting integrated into this nice links land. 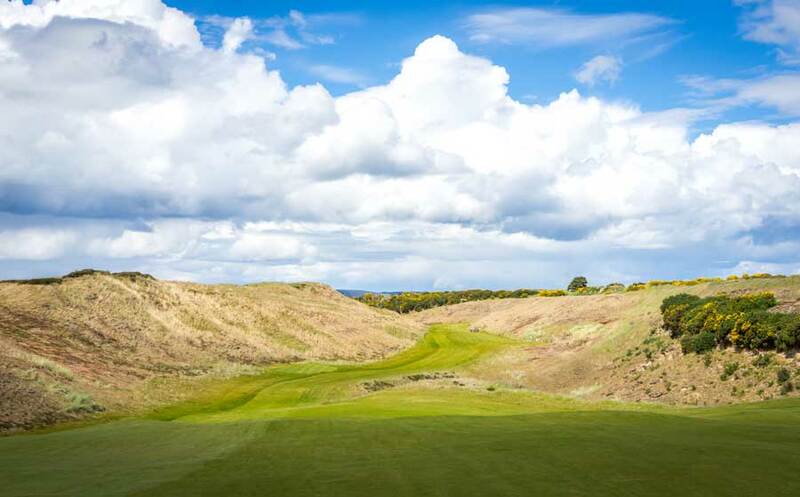 Sometimes the holes are difficult to play but never unfair. 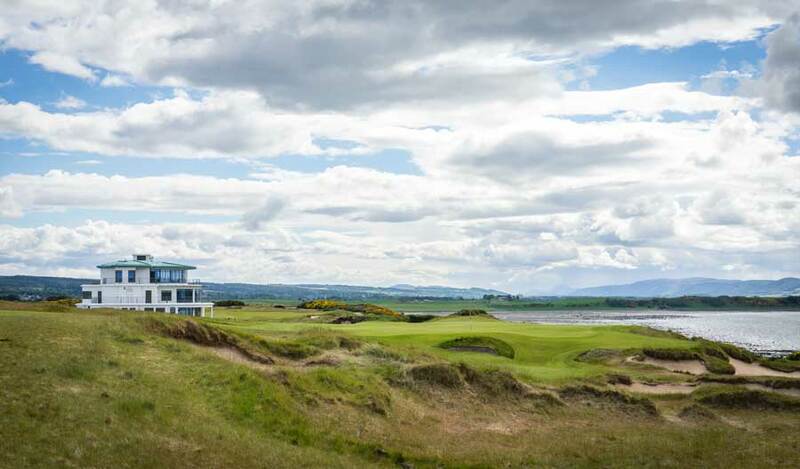 I wish I would have the chance to play this course again in different circumstances with myself in a better golfing mood.